do it yourself divas: Giveaway! By Simply Pure Products! Giveaway! By Simply Pure Products! Meet Barbara and her son Aedan. They have quite an amazing story. Simply Pure Products began as a way for me to make healthier products for me and my family. I have four children that are beautiful and healthy. However, when my third child, Aedan, was 2 weeks old, he developed eczema. I took him to our family doctor and he gave me several ideas on how to handle it and armed me with our first prescription for a steroid creme. Not only did that creme not work, but neither did any of the subsequent cremes that we tried. As time went on, I became discouraged and frustrated and began to research ways to help us overcome itchy, peeling skin that was just frustrating our son, and us! What we found was alarming. I soon discovered that many of the ingredients that were in our son's bath products (as well as our own) and his prescriptions, were actually linked to eczema and worse...cancer. So, I went out and purchased a few "pure" products to bath our son. I was able to find these products, but finding truly pure was difficult and expensive. However, it worked! In just under a week, Aedan's skin began to heal. Trying to ease our budget, I researched how to make our own soap. Not only was our new soap fantastic, but it blew away what we had purchased initially for Aedan's skin. I began to give it out to others who were suffering with the same skin issues, and they fell in love. 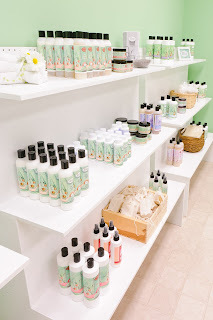 Once I began mixing some all natural oils together to create our own body lotions and cremes, Simply Pure was born. However, before I would even consider beginning a company, my husband and I had to figure out what would set Simply Pure apart from all other companies. So, we decided that other people looking for all natural products should not only be able to find them, but they should also be able to afford them. We have kept this in mind as we have developed Simply Pure Products. Our products are consistently pure, always made with high quality ingredients, and with low overhead, we keep our costs down. 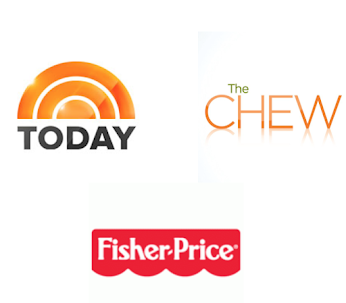 We would rather reach a million people with a healthy product before we make a dime. 1. You have to like Do It Yourself Divas on Facebook. Come back to our blog and comment below telling us what your favorite way to be pampered is... Want to be entered in the drawing again? Go to step 2. 2. You have to like Simply Pure Products on Facebook. Come back to our blog and leave us a comment telling us what facial products you are currently using... do you like them? Want a higher chance of winning this giveaway? Do step 3 as well. 3. You have to spread the word through Twitter or Facebook and you need to link back to this giveaway. Come back to our blog and leave us a comment letting us know you did it. If you are the lucky winner, we will check to see that you completed all the necessary requirements to be entered into this giveaway! The giveaway closes at midnight on February 8th. Good luck to all! I am a fan on facebook already. my favorite way to be pampered is with a massage, preferably a hot stone massage! I just became a fan of simply pure. Right now I am using Noxzema products because I ran out of Mary Kay. Noxzema is OK, I love Mary Kay. I would love to try Simply Pure products. I just shared your link with my Facebook friends. Im a fan now of Simply Pure on facebook! I currently use the clinique 3-step, but would love to try something natural! I liked everyone, and shared your link with my facebook friends......I'd love to win...!!! I am a fan on Facebook and I love a good pedicure! I had already liked your page, I liked Simply Pure. And I tweeted about the contest. Thanks! I liked Simply Pure on Facebook! I switched to LUSH Fresh Farmacy facial bar about 10 days ago. I have moderate acne, and so far this bar with natural ingredients like calamine is really soothing my skin and reducing breakouts. It seems to be working better than the harsher facial washes that I was using before. 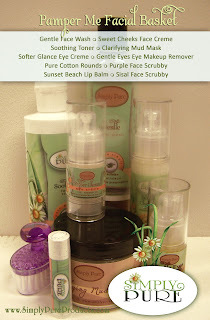 I really look forward to trying Simply Pure products! Liked your page on FB. My favorite way to be pampered is a deluxe pedicure!!! I just started following your blog, and love it! Now I "like" y'all on facebook. My favorite way to be pampered is a spa pedicure. Can't beat it! I just liked Simply Pure Products on Facebook, as well. My current favorite facial products are Pur Mineral products. Love them! I just shared the giveaway on Facebook, as well. I like long hot baths or messages to pamper myself. I currently use Miessence but am willing to try other safe products. i'm already a fan on facebook and love your blog. and i LOVE pedis - definitely my favorite way to be pampered! I am already a fan on facebook!! And I love a really good foot rub!! what a fabulous giveaway and package :) thank you for the opportunity to win and be able to try new products! i now like diy divas on facebook! and i pamper myself with home manicures :) while listening to my favorite records! 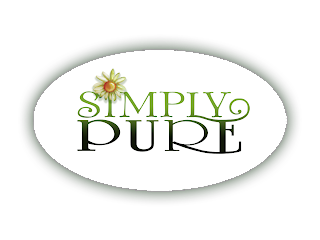 i now like simply pure products on facebook! and so i've also tweeted! Already a fan of yours on FB and my favorite way to be pampered is with a hot stone massage! Liked Simply Pure Products on FB. I am currently using Proactive and it is ok, but way too expensive for my budget so I'm switching to a store brand after my last bottle is empty. Just left a message on FB about the giveaway with the link back to your blog. I currently use Avon products. I like using them because they are so affordable. I am now a fan of Do It Yourself Divas! I like to pamper myself with a pedi. Full massage chair and a hot bubble bath for my feet...sign me up! I am now a fan of Simply Pure! I am using Clean and Clear on my face. Even though I'm in my early 30's, I still break out...even with the facial routine of blemish fighting soaps and lotions. I shared your give-away on FB. Glad I came across your products. I've passed my eczema skin to my daughter, now 3. I'm worried it will get bad like mine did. She too has the Rx for strong topicals and they don't work on every break out. Thanks for the opportunity for the give-away, but thank you for taking matters into your own hands and creating products sensitive to...well, sensitive skin! follow you on facebook! I love getting mani/pedi's with my daughter! kied Simply Pure on FB! Right now I use an Oil of Olay facial wipe to clean my face and use a Clinique facial lotion. It does the job! shared the give-away link on facebook!! Like Simply Pure on facebook! And I'm embarrassed to say what I use...but it is just the ST.IVES apricot scrub with whatever lotion I have. Yep that's what you have to do when you are the wife to a busy student! I am now a fan of Simply Pure. Curious to see what they have to offer. I am in a fight with my face, it's combination and trying new products is a chore! Just tried stuff from The Body Shop and the face wash irritated my face so bad it's still annoyed two days later! Ugh! I use warm water to wash & occasionally a facial wash by Avon for "maturing" skin! And I have now shared it on FB! Thank you so much! most of the above...but, also, I LOVE spending time quietly puttering in my garden...it relaxes & refreshes me w/ outdoor time. I liked Simply Pure Products on Facebook. Right now, I'm finishing my last semester of college, so we're living off the generic brand of everything. I would love some quality facial products! I linked the giveaway up on my facebook page! HI :) I linked your blog page & your facebook page onto my facebook page. I am currently using Baking Soda as a facial scrub (because it is natural, works, and I can not afford anything haha) and Dove soap to wash off my makeup (which I don't like, but money i tight). I also use an acne fighting mask once or twice per week which consists of crushed aspirin and honey! (works great!). Love your blog :)I hope I win! I like Simply Pure Products on Facebook. (I like DIYD on FB) My favorite way to pamper myself is a long, hot bath with a book. (I like Simply Pure on FB). Currently, I am using a mish-mosh of products on my face and I don't like them. My face is getting drier. Just "Liked" DIY Divas on Facebook and am off to check out Simply Pure. We are recently gluten free in our household, and am finding out that includes beauty products. So many of my previously used products are out the door...need to restock! Pampering? Nothing like a long hot soak...the hotter the better. I am almost asleep before I turn off the tap! I work in retail, which means 8+ hours on my feet, on hard floors.. My idea of pampering is a foot soak and rub! I have also had acne since I can remember, and love getting facials, but they are just so expensive! A warm bath with a good book. Then little cream for face and body. I liked Simply Pure. I use Nutregena or Aveeno products. I am already a fan of yours! My favorite thing is getting a refreshing aroma therapy massage. That relieves stress and gets me set for the next day. I just liked Simply Pure. At 63 years of age, I don't do a lot to my face, ie: daily cleaning and moisturizing it. I normally just wash it in the shower and use whatever moisturing cream I have at the time. I WOULD love the opportunity to try Simply Pure. I reposted this on my FB page for all of my friends to see! Posted the giveaway on my facebook! Yay!! Liked Simply Pure on FB. Liked DIY Rivas on facebook. Forgot to say I currently use clinique. Thanks for great giveaway! I'm already a fan of facebook. My fav way to be pampered is a pedicure. I just liked simply pure on facebook. I honestly don't use one product in particular. I just use whatever soap I have to wash my face. It doesn't work very well and dries out my skin. So excited for an opportunity to win these products! I recently found out about all the harsh, TOXIC stuff in all the brands the masses buy...for example Johnson's! We think we are doing the very best for our children as newborns but we're really slathering on poison! Aaaacccckkkk! I started using Melaleuce to clean my home and many of their beauty care items but I checked out Simply Pure and I'm SO buying a bunch of their stuff!!! I am a fan on FB. I love, love, love pedicures. Nothing is better! I like Simply Pure on FB. I am a fan & my fav way to be pampered is a pedicure, facial & a nice long swedish massage. Already a facebook fan. When my husband plans a date for us and I get to leave the girls at home, get a manicure/pedicure and possibly something new to wear, this is when I feel pampered. Step #2 accomplished. I currently use a great cleanser from the Boots line that Target carries (which works for me) followed by a PeterThomasRoth MegaRich Anti-Aging Cellular Cream (which I love) and PerriconeMD Firming Eye Cream (which I also love). Your link + my praise on facebook! I already "like" DIYD on facebook. I love having a massage. I "like" Simply Pure on facebook. I don't use facial products, but would love to try Simply Pure!